Autumn is around the corner. This week we celebrate the season with Jessica from All She Cooks. What’s for breakfast today? I love make-ahead breakfast ideas because we are normally swamped in the morning. Between rushing around getting showers, putting hair in perfect ponytails, and morning chores, there is little time left. For some reason, carrot pancakes scream fall to me. 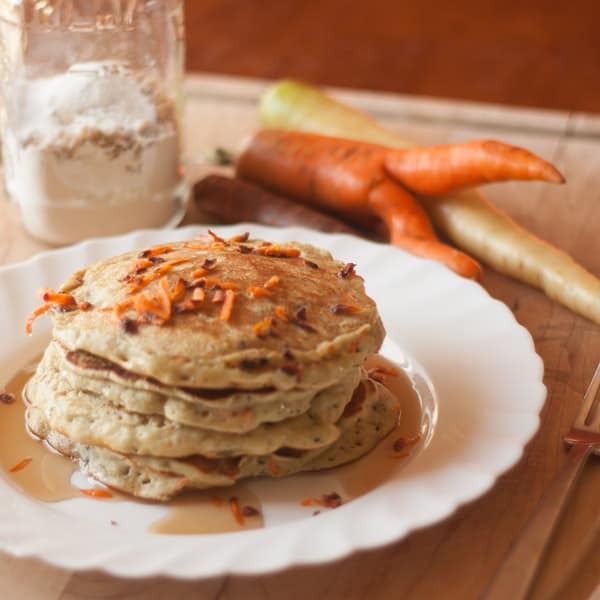 Get the full recipe for carrot pancakes, plus six other family fall favorites below. My CSA share is ripe with heirloom carrots this time of year and I’m forever thinking up ways to cook them up and hide them in meals. We love carrots, but unless they are raw with ranch or in carrot cake, you won’t find my kids eating many of them. to hide the carrots inside the pancakes you can. The pancakes in the photos were made expressly for me, so I wasn’t concerned about hiding them. However, if you’d like to make them disappear inside the batter, simple precook the carrots and mash or grate them finely. Notice the jar of dry ingredients in the photo below? I use this starter mix with a variety of pancakes. It is perfect for a mostly make ahead breakfast… and is a great time saver. Whether you want carrot pancakes, Hearty Pumpkin Pancakes, applesauce pancakes, banana pancakes, or even banana chocolate chip pancakes… you can make them up with this recipe starter. All you need in your premixed jars are: flour, baking powder, salt, and a little brown sugar. See the recipe below for exact measurements. Cooking with carrots is something I really enjoy doing because I know that our meal will be fortified with powerful nutrients. Some of the benefits of carrots include better vision and anti-aging benefits (due to beta-carotene); cancer, heart disease, and stroke prevention; as well as healthy teeth and gums…when eating raw carrots. With health benefits like that, we should all be eating more carrots! Even if they’re in the form of a pancake. 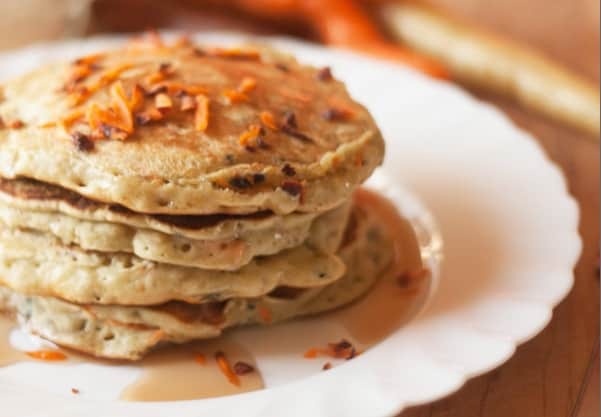 Carrot Pancakes take all of five minutes to throw together in the morning, and another few minutes if you didn’t already make up the make-ahead pancake mix. It’s just as fast as getting a box of pancake mix and throwing your wet ingredients together with it, except #1: you know where your ingredients came from and #2: no preservatives. I try to cook from scratch as often as possible while still counting on a quick easy meal. And like I said before, breakfast is a rush at my house, so this no-hassle, throw it all together in a hurry breakfast works well for us. Ha! And don’t you just love the funny shaped carrots I got this week? The orange one looks like it has legs! This time of year, I’m always cooking up fall-flavored food. 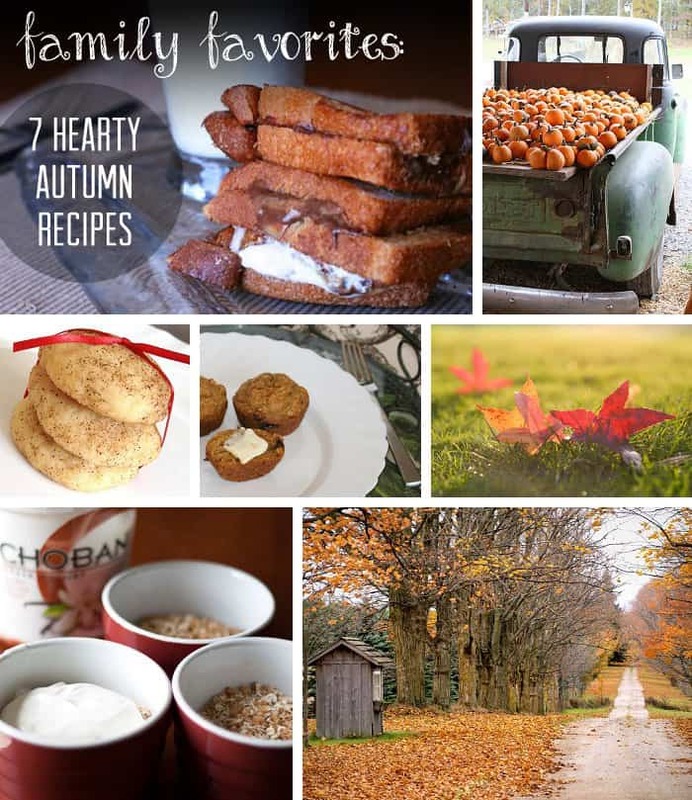 I’ll be pinning all of my fall food on All She Cooks Recipes board on Pinterest. Follow along and let me know which recipes are your favorite. I always love hearing from readers who have been making some of my recipes over and over again. Combine all ingredients in mixing bowl and stir until well combined. For a make-ahead breakfast option, measure out single-recipe portions of the dry ingredients into several mason jars and put lid on to keep them fresh. Tape a list of the wet ingredients that are needed to mix up the recipe. Remember, the 3/4 cup of mashed or grated carrots can be substituted with many things, including pumpkin, apples or applesauce, and bananas. Add nuts or chocolate chips as desired for extra flavor and texture. Jessica shares her passion for recipe development, food photography, and creating fun treats for my favorite taste-testers (aka her family) over on All She Cooks. I’m definitely going to try those carrot pancakes!! !